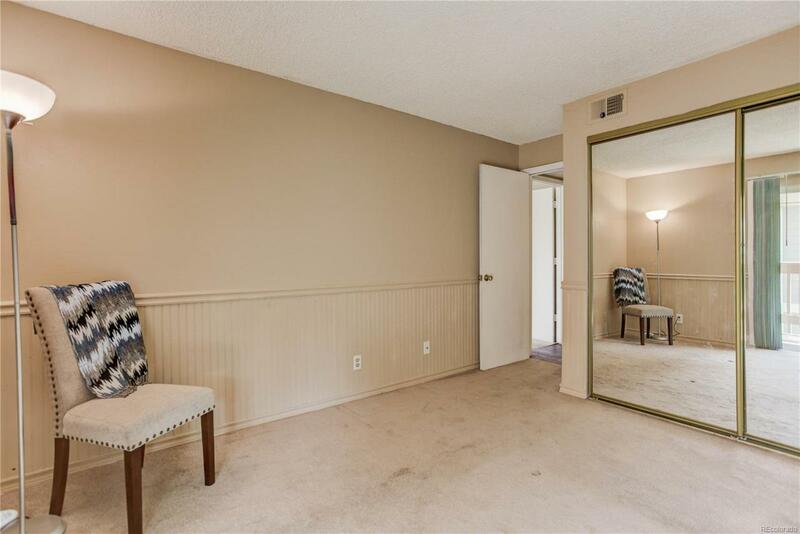 Beautifully upgraded 2 bedroom condo in the heart of Aurora. Wonderful opportunity to own instead of renting. 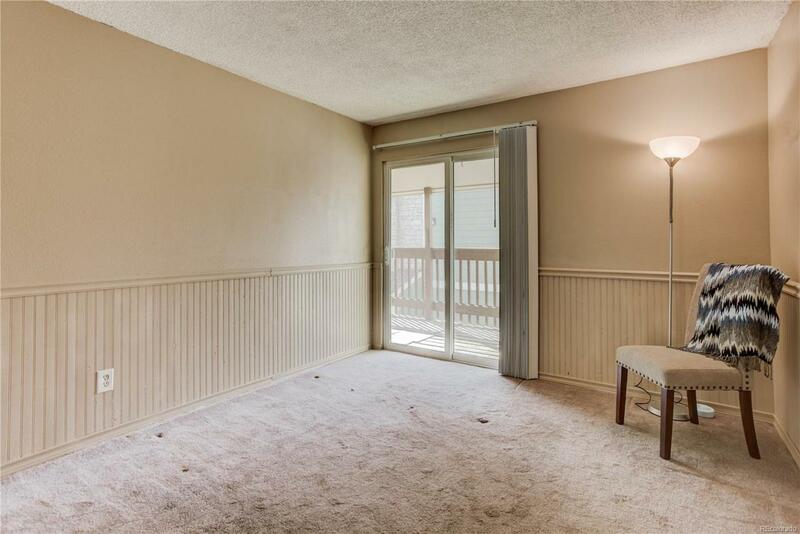 Move-in-ready condo with vaulted ceilings, a skylight, sliding door to wrap around balcony with an extra storage space. The kitchen is upgraded with Corina counter tops, custom backslash, Martha's Cabinets. The secondary bedroom has access to the balcony and a big closet. 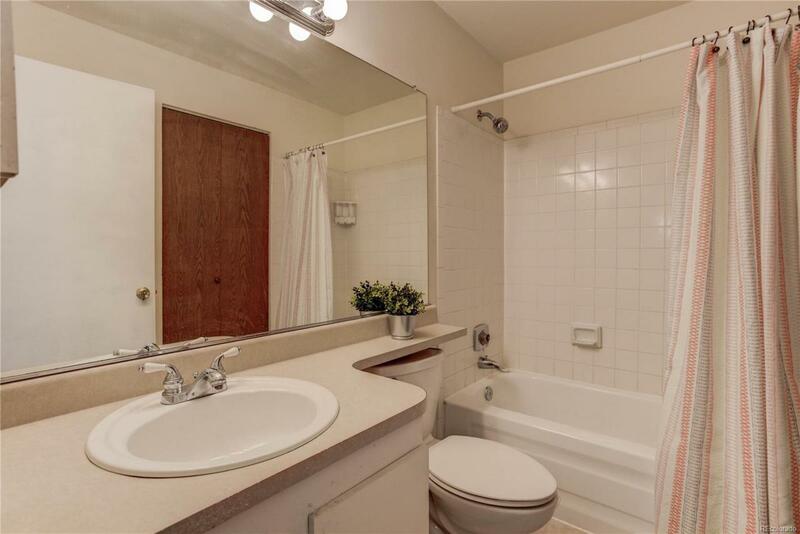 The master bedroom is huge and includes a walk-in closet and bathroom. 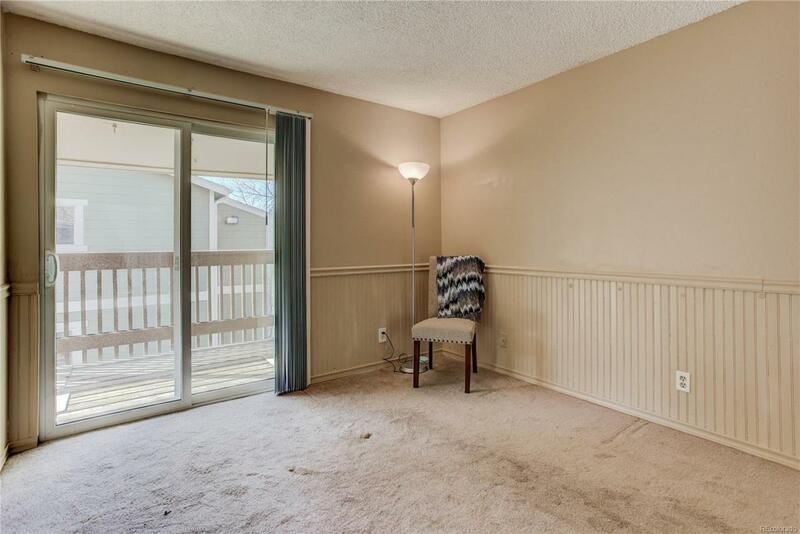 A Large laundry room with side by side washer dryer unit and ample space for shelves, fresh paint throughout, tile floors,Cherry Creek Reservoir, minutes from I-225. With great access to Restaurants and Shopping. Community features well- maintained grounds, pool for those hot summer days, a tennis court and an exercise facility.